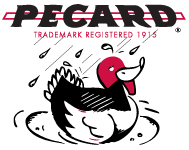 Pecard is carried in select shops across the states and over seas. Please use the map to find a location closest to you. We recommend that you call ahead of time to make sure what you are looking for is in stock as not every location carries all of our products. If you have trouble locating a dealer in your area, feel free to contact us at 1-800-467-5056.